After this weekend, it is 100% fall. I wore sandals to the metro on Monday and, boy, that was a mistake. Freezing toes is no joke. Buying these stat. Anywho, I am pretty routine when it comes to my nails. I like for my fingernails and toenails to match. Only exception I'll make is if my fingernails are a shade or two lighter than my toenails. But in the same color. I'm a weirdo. The colors that I use are pretty set in stone. 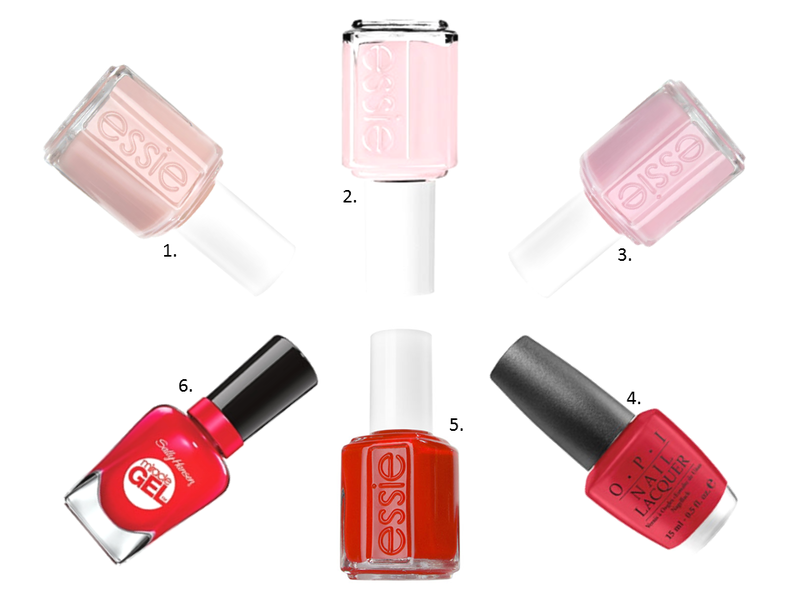 Spring/Summer is usually Fiji, Hi Maintenance, or Romper Room, all by Essie. Fall/Winter is reds. My go to is "A Oui Bit of Red" by OPI, but for something a little bit brighter, I really like the Sally Hansen Miracle Gel in "Red Eye" or Essie's Geranium. Any other favorite nail colors I should try?